Just earlier this year rockets were landing in parts of Damsacus fired by rebel groups in surrounding suburbs. However, a Russian and Iranian-backed government offensive successfully sent the rebels in Eastern Ghouta packing, stamping out the sporadic nuissance of mortar shells landing Damascus, keeping residents on edge. 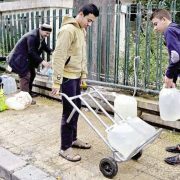 While the capital was largely unaffected by the seven-year war, compared to other war-ravaged areas, Damascus residents were never completely relaxed. Now, the government is eager to declare mission accomplished and get the economy moving again in Damascus. People, fed up from years of war, are eager to blow off steam and ready to have some fun. To demonstrate the improved security situation Damascus hosted slew of concerts this month by several Lebanese and Syrian singers. 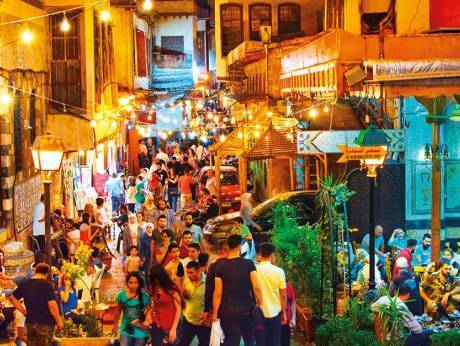 “Damascus is booming alright” Elias Haddad, a concert organiser told Gulf News. Lebanese diva Fairouz was also asked to perform at the Damascus International Fair last August, given that she had been a regular at the event since the late 1950s, but she politely declined given that mortars were landing on the fairgrounds from the nearby villages of Eastern Ghouta. “That threat is now over. 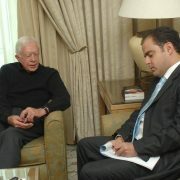 We are expecting a very profitable summer in Damascus,” Haddad added. Not a single mortar has landed in Damascus since the spring, after all rebel groups were shipped off to the Syrian north. 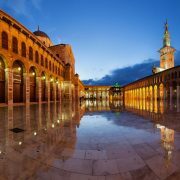 The restoration of regular 24-hour electricity has also contributed to the boom in the Syrian capital, after long blackouts in previous years that often reached up to 16-20 hours per day. The huge generators set up on sidewalks have all been taken down and replaced with tables and chairs for café trottoirs. Many main roads, sealed off with roadblocks since 2012, have just re-opened, ending chronic traffic problems in the Syrian capital. The latest of those was the street facing Army Headquarters and Air Force Command in Umayyad Square, while all checkpoints have been torn down in Al Adawi and Al Qassa, two predominantly Christian neighbourhoods. The checkpoint at the gate of the Medhat Pasha Market has also been removed, reviving the pubs in the Old City. 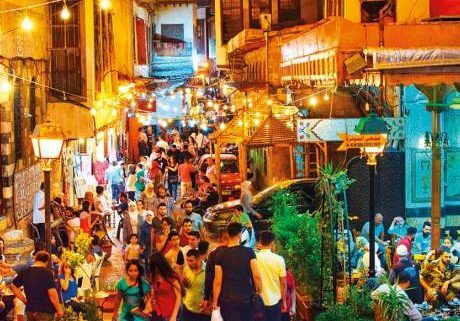 Within that ancient market, also known by its Biblical name, The Street Called Straight, a string of pubs, restaurants, and coffee shops have opened in what some residents describe as a “mini-Beirut”. Residents living in the once-quiet quarter now complain of noise pollution from the loud music and drunk bar hoppers that scatter the streets into the early hours of the morning. “Now, that too is changing,” said Karam Ammar, a waiter at one of those hotels. While the tourists are not yet back, displaced Syrians are now heading back to their towns and villages. A chain of restaurants along the Damascus Airport Highway—all closed since 2012—have also started to re-open. The government actually gave them an ultimatum to re-open or face revocation o their license. “Mora” a favourite restaurant of the Damascenes, located in the mountain town of Bloudan near the Lebanese border just 51-km northwest of Damascus, has also re-opened after years of closure. During the war, it was transformed into bakery for Syrian troops. “The prices have increased dramatically,” said Ahmad Al Hanbali, a lawyer who recently took his family to Mora for a family breakfast. If calculated in foreign currency, the price is still the same in US dollars but that isn’t the case for millions of Syrians, who make money in local currency and are complaining of gross inflation and devaluation of the Syrian pound—a side effect from the war. For many Syrians, it seems that the only ones enjoying themselves these days are the rich. At the Four Seasons Hotel, monthly membership fees to access the pool, gym, and spa now stands at $600 USD/person—an amount unaffordable to the majority of Syrians given that 50,000 SP ($113 USD) is the average monthly salary in the public sector. 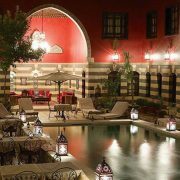 A regular meal at any of the five-star hotels in Damascus varies between 10,000-15,000 SP ($22-34 USD). The Sheraton Hotel—a long-time favourite of the Syrian elite—recently hosted a pool party complete with loud techno music and scantily-clad hired dancers. A video of the party went viral on social media networks, sparking an outcry from many users. “This is outrageous. We are still a Muslim city. 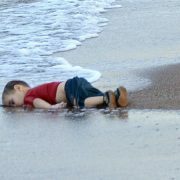 This shouldn’t be happening,” Ahmad wrote on social media. Lisa Al Sayes, 22-year old university student, could not afford to attend a concert by Lebanese singer Assi Al Helani earlier this month. Instead, she listened to him sing from a near-by cafe. Tickets were a whopping 200,000 SP ($445 USD) for VIP seats while regular seats were for 100,000 SP ($227). Published in Gulf News on 20 July 2018.